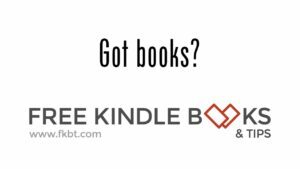 Rachelle Ayala Blog: Read an Ebook Week at Smashwords - or Do Your Taxes! Read an Ebook Week at Smashwords - or Do Your Taxes! Call me Crazy! I'm killing all sales this week because ALL my books are FREE on Smashwords to celebrate Read-an-Ebook-or-Do-Your-Taxes Week. First, visit Amazon Tax Central and download tax software. Then, go to my Author Page at Smashwords, and download all my books. Download them even if you already have them from other vendors. On Smashwords, you get the DRM-Free ebook in PDF, .mobi/Kindle, .epub/Nook/Kobo, or you can even read online in HTML if you have the patience. No one can take the book away from you once you download it and you can read them in any app which supports that format. Kindle on PC or Mac for the .mobi, Nook or Kobo reader for the .epub. How cool is that? While you're there, pick up this tasty morsel [18 years & older only, please] from a good friend of mine who wishes to remain anonymous. Meanwhile, I need to do taxes. But what better way to reward myself than to read a book I downloaded AFTER I finish. If you're an author who has a free book on Smashwords this week, please post it in the comments. Happy Reading!